When you’re used to working 16-22 hours a day for the wealthiest and most demanding customers in the world, even the most stressful days seem ordinary. Working on private yachts is an industry of extremes. Follow any yacht crew on social media and you’ll see some incredible images. Massive yachts, exotic cars, sunny beaches, far away islands, beautiful humans and the best parties in the world. But all that comes at a price…and most people never see the exhausting amount of work that goes into making that service real. 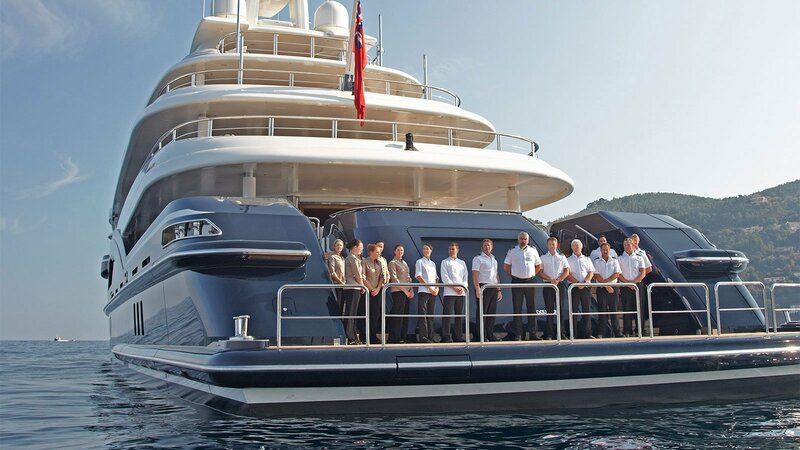 The take away, there are many customer service lessons from the mega yacht industry. What is high quality customer service? If you asked me before yachting, I always thought it was someone sitting in the basement of a department store filing complaints and answering angry emails. Turns out, it’s the whole thing! Yachting is a customer service industry. The only difference between yachting and other industries are that your customers are mostly eccentric billionaires who own massive mega yachts. Their needs are very different than most and “no” is simply not an option. The goal is easy enough, greet the guests with a flawlessly gleaming boat, on time, in the destination of their choice, stocked with all their favourite things. Then, simply wisk them away on a grand adventure far away from all their problems on land. The only problem is…everything goes wrong! Want to fly in 20 of your “closest friends” from different countries for a cocktail party with 2 hours notice? We’ll just pay an agent $2000/hour to expedite customs and immigration. Then send 6 of our crew members to different terminals at an international airport to stand-by with fist fulls of cash in order to keep private drivers perfectly parked outside for each family. Demand your cocktails with ice carved out of a live glacier? (Looks like we’ll have to launch a tender, re-arrange our maintenance schedule, send 2 deckhands out at 6 am armed with a bucket and pick-ax, then have them spend the morning sculpting low-ball sized nuggets of 10 000 year old glacier ice by hand. Real high quality customer service is dealing with the unforeseen. The stuff you can’t prepare for. The “incorrect caviar” of life. Regardless of what job you do, it can differentiates your similar product or service from that of another. Having the right tools to help you through tough times is key, and using those tools to make it seem effortless is what can turn a horrible experience into an effortless bucket of beautiful hand manicured glacier ice cubes. Cocktail anyone? Fred Crossley is a commercially endorsed RYA Yachtmaster and senior Learning Facilitator for Sail Canada. Currently working and living in Toronto, he has over 15 years experience working in youth and high performance sailing and has spent the last 6 years traveling the world onboard private mega yachts.